The big change-up for the series, though, came after trailing 2-1 after three games. Golden State took a deeper look at their lineup, and they decided to drop Andrew Bogut, a center, for Andre Iguodala, a talented swingman. This lineup change turned the tie of the series, as Golden State roared back to win in six games. This was historic for the club, lifting their first title since 1975 – a whole 40 years – and just a fourth of all-time. Indeed, they claimed the third-best record in Finals history with a regular season and play-off campaign that finished with a whopping 83-20. So, they set the tone for a whopping Finals for the year to come. In a repeat of the Finals the year before, things were going to be different this time. 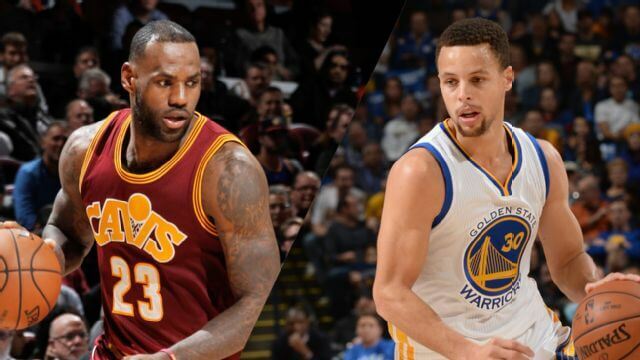 With both Curry and James in fine form on this re-match, this will be some pretty pivotal match-ups. Having won the first two games this time, Golden State were in driver seat until game three came around and they fell 120-90. While they rebounded in game four to win 108-97, a trio of tight losses seen them lose the series. Losing 112-97, 115-101 and 93-89, Golden State threw the opportunity for two-in-a-row, which is such a rare feat to achieve. Winning it by just 4 points on the seventh match, this was one of the most iconic an exciting season in memory – with such an incredible and late twist at the end. This year, we’re about to see the same two teams returning to the peak of the sport with the third and likely final Finals run for both sides. With game 1 taking place on Thursday night, it’s going to be outstanding to see what comes from these match-ups. It’s interesting, too, that game 1 is taking place at the same venue that the title was won last year. With 32.5 points-per-game (PPG) and needing just two 3-pointers needed from LeBron to become the play-off all-time points scorer, there’s plenty riding on this series other than just the title itself. Kevin Durant, the star turn in 16-17 for Golden State, is hitting an impressive 25.2 PPG – so, as ever, we expect this to be a tight duel between two masters of their craft. With Durant having a bit of an issue when on-court performance-wise when James is there, too, this might be the perfect time to break that hoodoo. With Mike Browns’ return to Cleveland making another nice little narrative for this year’s season, too, there’s a lot to look forward too!